Associate Professor Karen Farquharson is Associate Dean (Research) in the Faculty of Life and Social Sciences at Swinburne University. 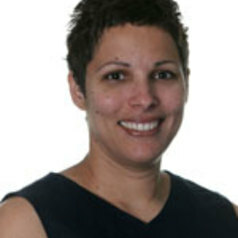 Karen is a sociologist with research interests in the areas of sport, race and ethnic relations, the media, and the internet. She is co-author of Sport and Society in the Global Age (Palgrave Macmillan 2012). Prior to working at Swinburne, Karen was a Research Fellow at the Centre for Public Policy at the University of Melbourne. She holds a PhD from Harvard University and was a Fulbright Scholar at the University of Cape Town in 1995-1996.